Tea-lovers who enjoy a cup of builder’s brew were warned last night that their favourite tipple might leave their teeth pitted and their joints painful. New research reveals that teabags can contain high levels of fluoride, although the more expensive your brew is, the less of the potentially harmful mineral it might contain. Fluoride, which occurs naturally in tea plants, is necessary to prevent tooth decay. But too much can result in fluorosis, where tooth enamel becomes damaged. Very high levels can even cause crippling skeletal fluorosis, with joints becoming calcified and stiff. The new research, by Newby Teas, has found that cheap own-brand teabags could contain up to six times as much fluoride as more expensive versions. While a 200ml cup of Tesco Value contained 1.59 milligrams, the same quantity of Newby Upper Assam had just 0.25mg. 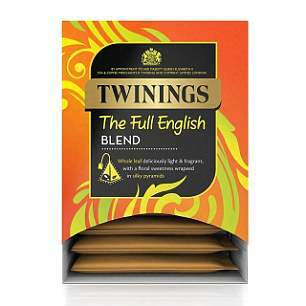 Other premium brands with reassuringly low levels included Twinings’ The Full English (0.32mg) and Dilmah English Breakfast (0.37mg). According to the World Health Organisation, there is an ‘elevated risk of skeletal fluorosis at fluoride intakes above 6mg/day’ – meaning four cups of budget tea could put you over the limit. Cheaper teas are made from older leaves which have more time to accumulate the mineral. Tesco did not comment last night.